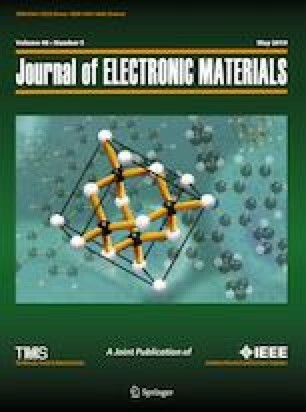 The effects of Ga additions on thermal behavior, wettability, microstructure and properties of Sn-0.7Cu solder were investigated. The addition of Ga influences the surface tension of the solder and improves the wetting performance. The best wetting was achieved when the Ga content approached 0.5% (by weight), but further increases of Ga did not improve the wettability of the Sn-0.7Cu solder. The most uniform and refined grain structure was obtained with ∼ 0.5% Ga. The interfacial intermetallic (IMC) layer was also refined and reduced in thickness with the addition of Ga. Also, the hardness increases with increases in Ga content compared to SnCu solder without Ga. This is likely due to the refinement of grain structure and the uniform distribution of IMC phases in the solder.